The Hornby Eagle Group (HEG) formed in 2009 to continue broadcasting the Hornby Eagles webcam, which was first streamed in 2006. In December 2010, the Group became a registered non-profit Society in British Columbia and was renamed the Hornby Eagle Group Projects Society (HEGPS). 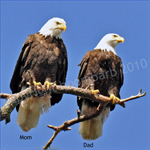 For two years, we were privileged to broadcast a live, intimate view of a beloved pair of bald eagles, Mom and Dad Hornby, and their eaglets Phoenix (2010) and Alexandra & David (2011). The original webcams were retired in the autumn of 2011. In April 2012, HEGPS installed a new camera on "Gregg's Tree", which is about 230 feet from the nest tree; while the view is not as intimate as provided by the older cameras, we can see the Hornby's territory and perch trees, as well as the nest tree and nest itself. The Hornby Island ground crew continue to monitor the nest and post videos and photographs of the Hornby Eagles in our forum (Our Nature Zone). On May 28, one of the eggs hatched. This would be Day 38 for the first egg and Day 35 for the second egg. We were overjoyed to see all the signs of the eagles reacting to a hatching egg and later Em fed a couple of bites of food to the new eaglet. We could not see the chick, except for some movements in the deep nest bowl. The next day (May 29), we were dismayed to realize that the eaglet had not survived the night. There was no feeding, and both eagles were found on the baby-sitting tree. They did not appear to be incubating a second egg. The details of what happened remain a mystery. Dad and Em stayed in the area through June and July, occasionally visiting the nest and even bringing a stick or two. Mostly we would see them on the baby-sitting tree or hear their distinctive voices nearby. The last time an adult eagle was spotted (we are not sure which one) was August 5. Traditionally, Dad returns the last week of September. What will happen this year? Find the latest eagle news and see the latest photos by boonibarb in the Observations 2017-2018 section of our Forum. Starting in 2009, HEGPS members and friends contributed to purchasing equipment and paying the costs associated with streaming and broadcasting the Hornby Eagles webcam, but our mission statement includes more than broadcasting the live webcam. In addition, HEGPS volunteers donate their time and expertise to public education and data collection, plus building and maintaining the website and forum. In July 2010, the Hornby eaglet Phoenix died of acute aspergillosis at 76 days of age. Working with HEGPS, Mountainaire Avian Rescue Society (MARS) on Vancouver Island ensured that Phoenix was retrieved and examined. Following the outpouring of grief over her death, we began to promote and assist wildlife rehabilitation facilities to ensure that Phoenix's legacy would be that other wildlife in need of rescue would be helped. 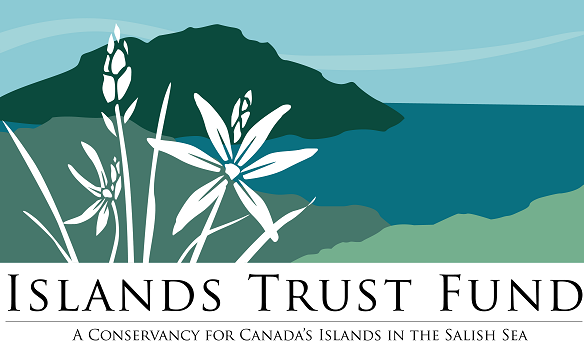 Over 35 wild creatures have since been rescued on Hornby Island and sent to local rehabs, with MARS being the first stop for almost all of them. In July 2014, a small eaglet fell from his nest near the Tribune Bay campsite. 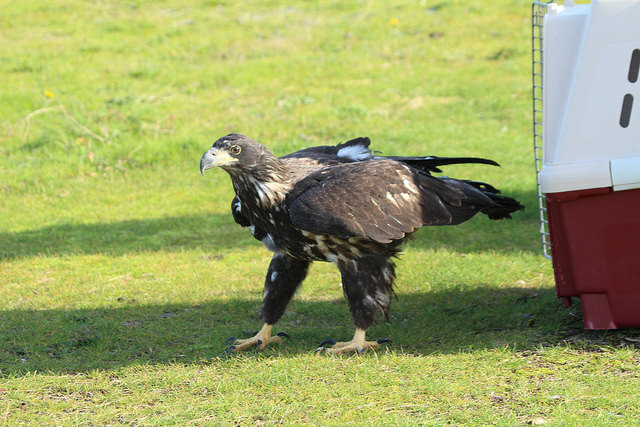 This eaglet was rescued by HEART (see next column) and spent the next four months growing and developing at rehab facilites on Vancouver Island. On November 4, 'Camper' was released to freedom. His release was dedicated to the memory of Mojo, a valued member of HEGPS who passed away one year ago. The Hornby Eagles Advanced Response Team (HEART) is comprised of Hornby residents who respond to calls of animals in distress. 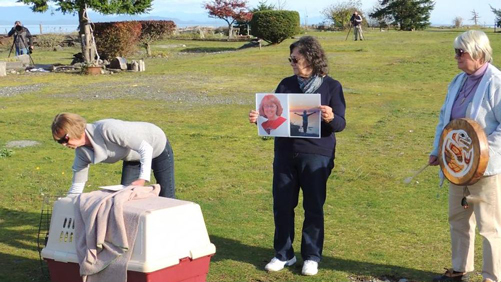 Since 2010, more than 35 creatures ranging from a tiny hummingbird to adult eagles and malnourished seal pup orphans have been taken to rehabilitation facilities on Vancouver Island. You can see the annual list of those rescues HERE. HEGPS has set up a "Hornby Wildlife Sponsorship Fund" to help with rehab costs for wildlife rescued by HEART. We also help the rehab centres by sponsoring releases of successfully rehabilited wildlife. Please consider being a "Friend with HEART" by donating to the Fund, or directly to the rehabs that care for the Hornby rescues. Read more on the forum at the link below: Be a "Friend with HEART"
Other projects we have accomplished.